Queen Sofia is suing the website Ashley Madison for pasting her face on another body and using it in an ad for the dating service, according to numerous media reports. Ashley Madison, a branch of Canadian company Avid Life Media, encourages people to have affairs facilitated by the site. The media reports indicate that Her Majesty is suing the company with private money. 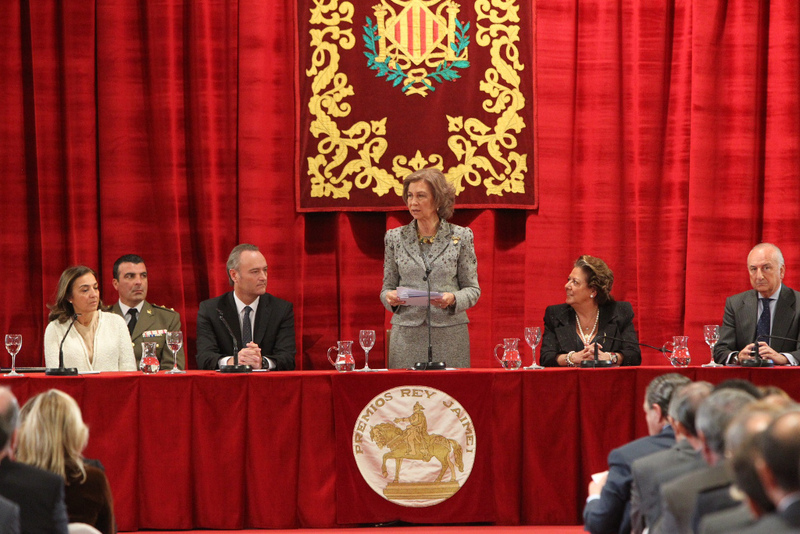 Queen Sofia giving out King Jaime I awards in Valencia. Recently, the Royal Household expressed discontent at Ryanair using the Queen for one of its ads after she flew on the airline on a rush visit to her brother in London. King Juan Carlos did not take legal action for another Ashley Madison ad using his likeness.